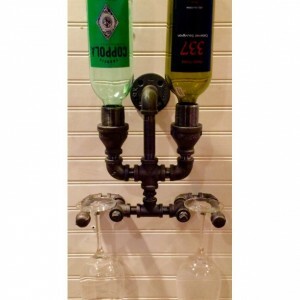 Wine Rack, Liquor Bottle Rack, constructed of industrial black Iron pipe, Steampunk, Man Cave, Home Bar !!SALE!! 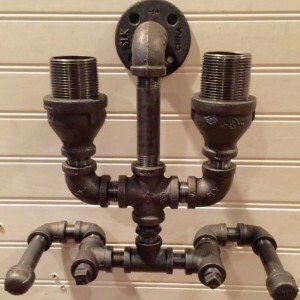 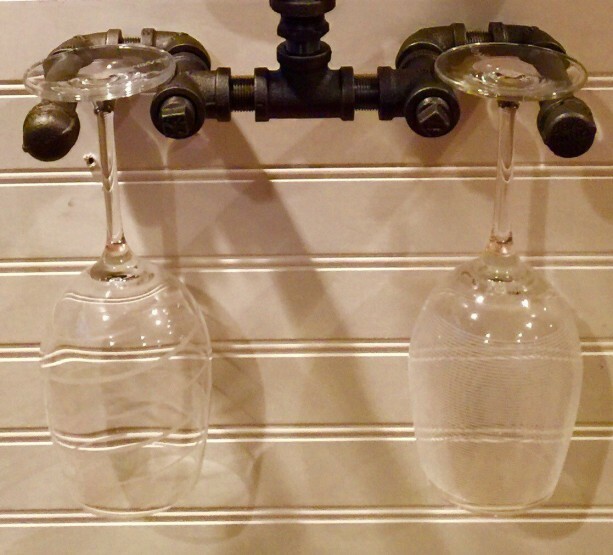 Wine Rack, Liquor Bottle Rack, constructed of industrial black Iron pipe, Steampunk, Man Cave, Home Bar The Wine Rack holds 2 bottles and two wine glasses. 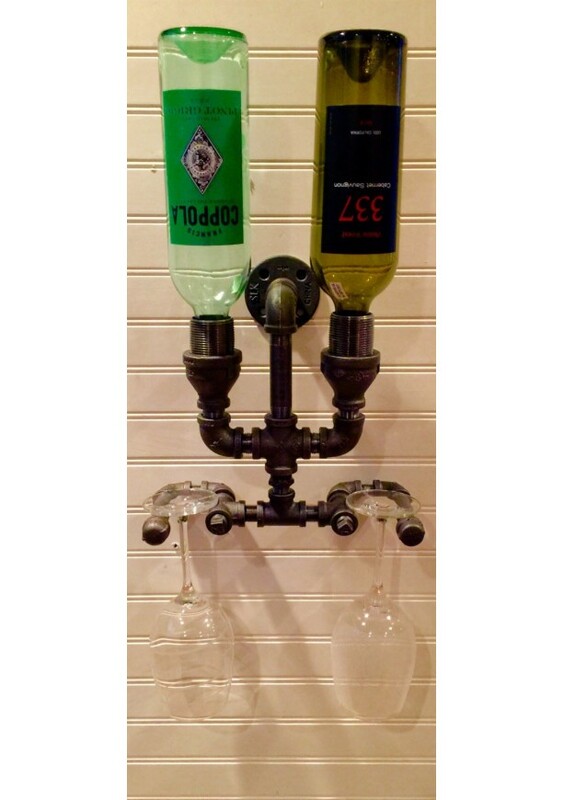 The Wine Tree measures 10-1/4" tall X 10-1/4"wide X 4 1/4" deep without bottles and glasses(made with construction grade industrial black iron pipe and fittings). 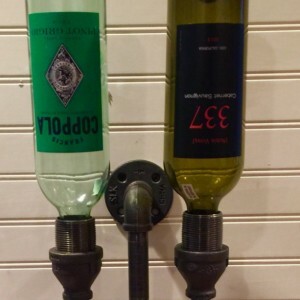 The Wine Tree Weighs Less that 10 Pounds (without bottles). 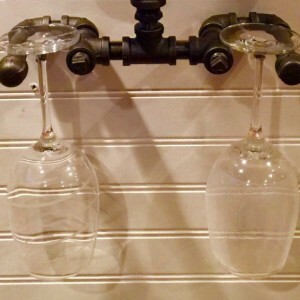 Screws included for mounting the wine rack. 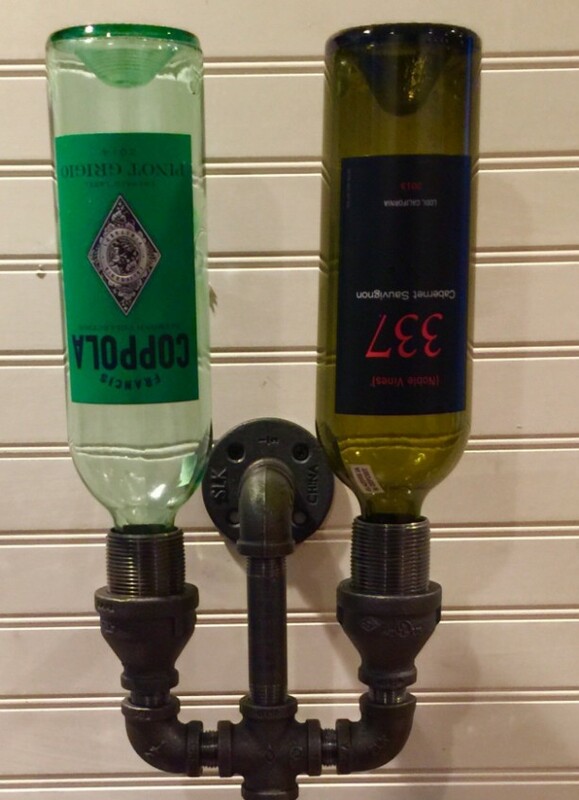 100% satisfaction guaranteed or your money back. 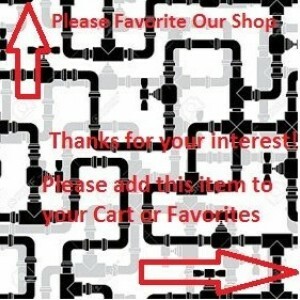 Thank you so much for looking and we hope you have a great day. 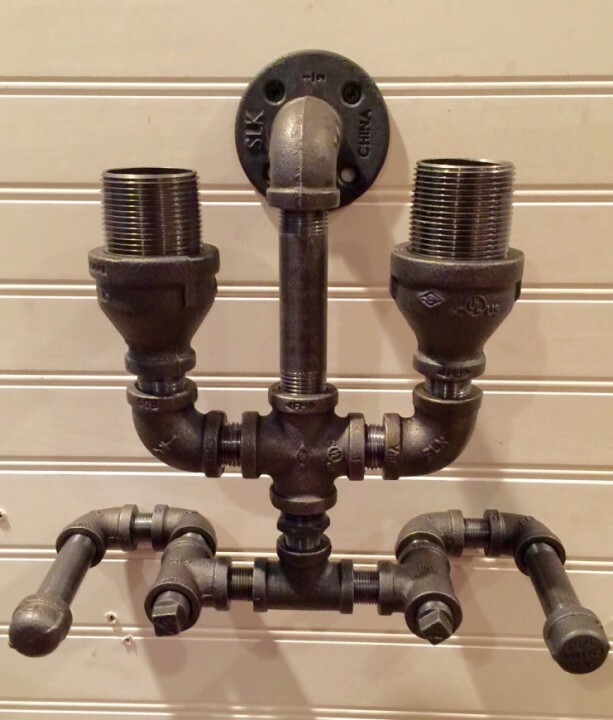 MORE LISTINGS FOR BLACK PIPE @ https://www.etsy.com/shop/PipeLineDesignStudio?ref=hdr_shop_menuPlease reference the Q & A section in my Etsy shop for instructions on cleaning and more details regarding the black pipe products sold in my store.